Through success-oriented projects, individuals experience increased self-confidence and self-esteem, develop a greater awareness of the environment, learn horticultural skills, and take pride in volunteering in a community garden. The opportunities to socialize also address the depression and isolation many people experience, allowing us to build a sense of community among our participants. The program also serves as a model for other community organizations. We raise 80 per cent of our operating budget, relying on grants, special events, plant sales, and donations. New Hanover County provides in-kind support by providing and maintaining the physical location of the program at the Arboretum. We also receive administrative support through North Carolina Cooperative Extension. The state and county support allows the Ability Garden to keep its overhead low and apply the bulk of funds directly to therapeutic horticulture. In September of 2016, after operating under the umbrella of the Friends of the Arboretum for many years, the Ability Garden became a 501(c)(3) non-profit, approved by the Internal Revenue Service as a tax-exempt, charitable organization. As we look to the future, the Ability Garden is focused on sustainability, developing plant sales as an income source, building community connections and increasing awareness among local foundations about the work we do. We are committed to providing direct therapeutic horticulture services at the NHC Arboretum and through outreach. We are increasing our role as a community educational resource to promote the healing benefits of nature, teaching others how to use the natural world as a tool to reach targeted goals. 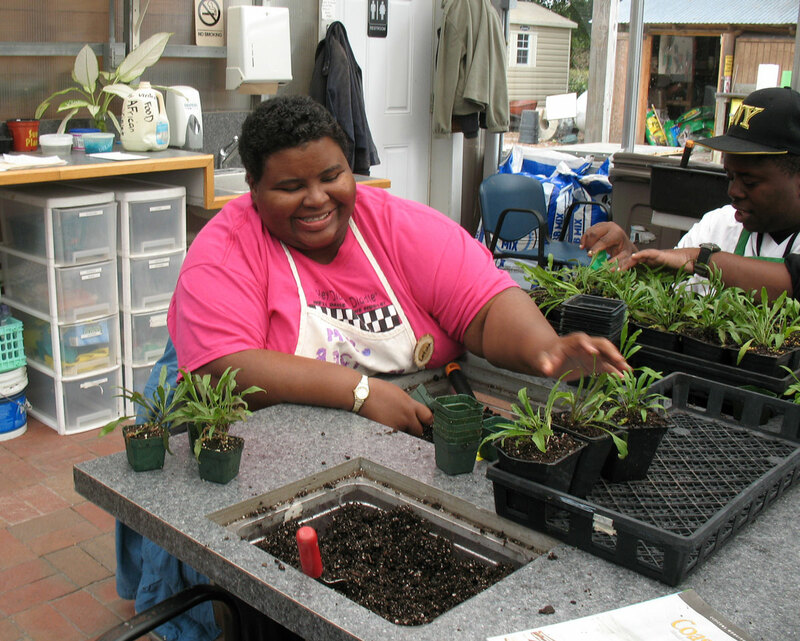 In 2015, the Ability Garden reached 1,250 individuals at the NHC Arboretum and through community outreach. We need to reach even more. Our participants are, for the most part, invisible and voiceless in our community. The Ability Garden is a place where they are seen and heard. The Ability Garden is a non-profit therapeutic horticulture program operating on the grounds of the New Hanover County Arboretum. The program grew out of the Friends of the Arboretum’s desire to engage people of all abilities in nature. In the mid-1990s, members of the Friends of the Arboretum became concerned about the lack of accessibility of the Arboretum campus. The Arboretum provided better accessibility by building new sidewalks and paths, improving the parking lot, providing more seating in the gardens, and securing a stop on the city bus line. But the FOA wanted to do more. 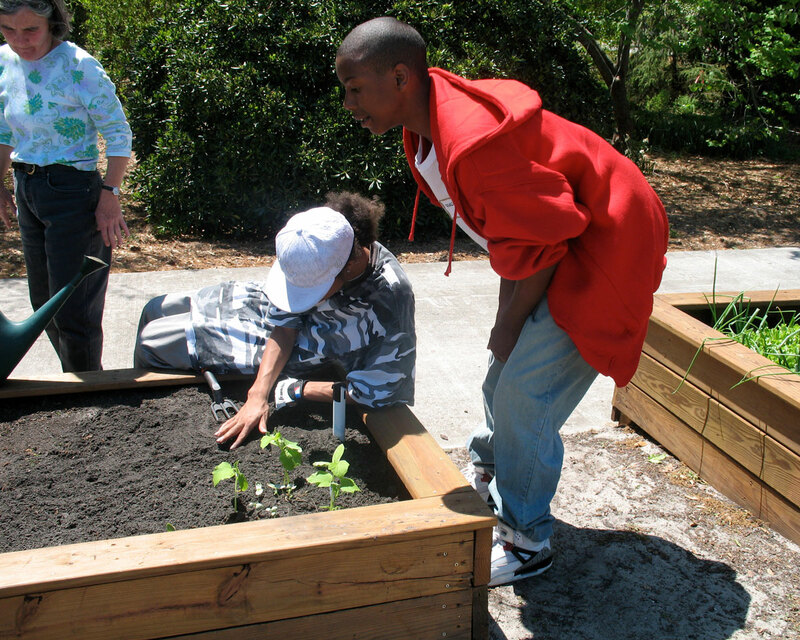 In 1999, the Ability Garden began as a program of the FOA. Phyllis Meole and Lorraine Perry created the vision and secured the original funding from the Cape Fear Memorial Foundation. Heather is a North Carolina native, growing up in Chapel Hill and Charlotte who has called Wilmington home for 23 years. A love of plants and being outside came from a childhood spent with her Grandmother, who had a bountiful garden every year. 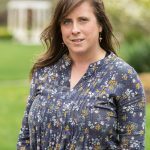 Heather has an English degree from UNC – Chapel Hill and has pursued graduate studies in both Gerontology and Public Administration. 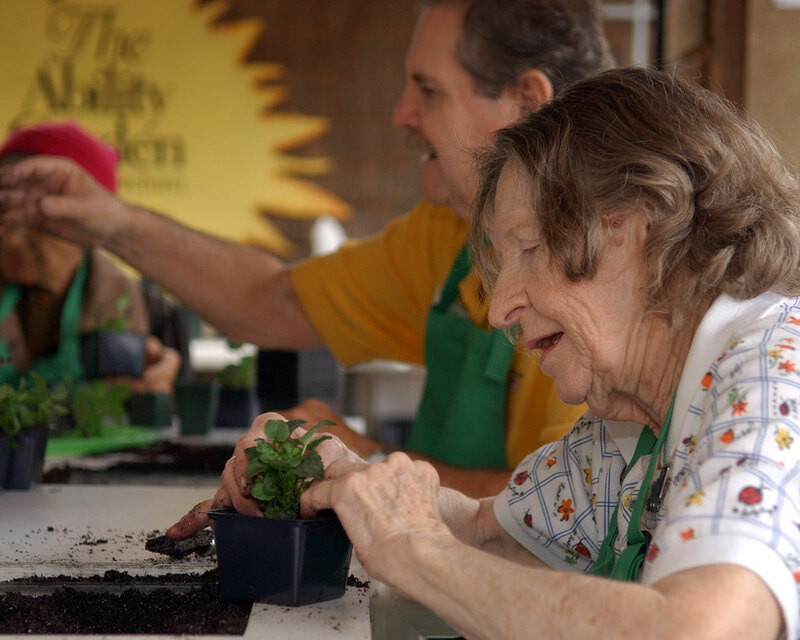 Working with the Ability Garden since 2003, initially as a Master Gardener Volunteer, a Horticultural Therapy Intern and Program Director, she is now the Executive Director. She enjoys free time with her three children, raising chickens, reading, sewing, traveling and taking in live performances. A native of South Louisiana Bayous, Nicolle is a former high school special education teacher and a retired N.C. Department of Corrections Rehabilitation Therapist. She specialized in using gardening as a therapeutic activity in the U.S. and abroad (long before horticulture. therapy was considered cool) and she continues to share her love of gardening with others. When not gardening, she can usually be found in her studio, practicing her other therapy, making mixed media art. After seven months as a volunteer in the greenhouse, Lona officially joined the Ability Garden staff as Program Assistant in August 2017. 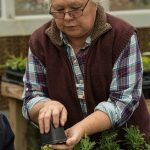 In her current role, she manages the greenhouse, facilitates plant sales and provides overall support to the Director. A native of Chicago, she is a recent transplant to Wilmington. Lona has a Masters in Museum Studies focusing on Children’s outdoor Education in Botanical Gardens from New York University. Past work includes developing hands-on programming with youth in children’s vegetable gardens at both Queens Botanical Garden, Chicago’s Kilbourn Park Organic Greenhouse and Westfield’s Old Orchard mall and school gardens. When she’s not gardening she enjoys spending time with her son, traveling, reading, biking and baking. Born and raised in the Piedmont of North Carolina, Marie traded the red clay for the sandy soils of the Cape Fear Region. She received a B.A in Elementary Education with a minor in Psychology from UNCW. 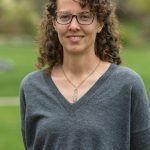 After several years in formal education, including environmental education while in Southern California, Marie returned to UNCW for a Masters in Environmental Studies. After starting her own small scale production and education business, Centripetal Farms, she joined forces with the Ability Garden in March of 2017 to provide garden-based programs in local schools. 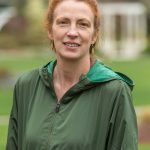 Passionate about teaching the many benefits of gardening, particularly in closing the loop from seed to fork to waste, she can often be found hiking, camping, kayaking, and cooking up a storm. Lizzie is now the Farm Support Specialist at OE Enterprises in Hillsborough, NC.